At last night’s 59th annual Obie Awards, Branden Jacobs-Jenkins received the Best Play Award for two of his plays: APPROPRIATE and OCTOROON. But not only did the two plays get Obies – actors in each production also brought home the hardware. And one of the directors did as well. The sensational OCTOROON, which sold out its current run at Soho Rep before the first preview night (and then extended twice – but it’s still all sold out), also netted a Performance Obie for Chris Myers. And in APPROPRIATE, Johanna Day got one for Performance, and Liesl Tommy got one for Direction. If you see OCTOROON at Soho Rep, BJJ is the guy in the bunny suit. Before there were special effects, actors created worlds on stage from nothing. OCTOROON joyously rediscovers Boucicault’s toolbox of tricks in this update of RACE! and SCANDAL! and PHOTOGRAPHY! Heavens. Featuring best one-person fight scene ever. And more. Show stolen repeatedly (but always given back) by chorus of three slave women. That’s right, there are only nine dates left (all the rest sold out) in the April 23 – May 18 run at Soho Rep of AN OCTOROON by Branden Jacobs-Jenkins (adapted from Irishman Boucicault). Why is the latest play by this red hot American playwright going to sell out before the first preview? Last chance for a spring highlight in NYC. The last show at Soho Rep, MARIE ANTOINETTE by David Adjmi, sold out before the first performance. And the story could be the same with the next show down at 46 Walker, AN OCTOROON by Branden Jacobs-Jenkins (adapted from Boucicault), which starts April 23. The run is already more than half sold out. Jacobs-Jenkins is on a hot streak, and the planets seem to be aligning for an unforgettable spring event. 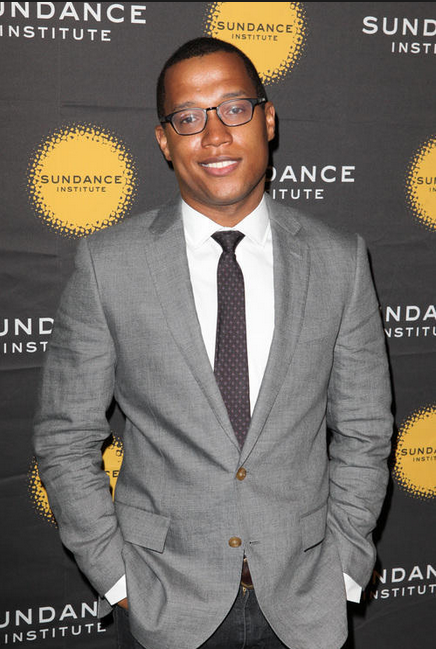 Branden Jacobs-Jenkins is going places. Strike that – he’s already there. The late 20’s playwright is having quite a year, and it doesn’t look like he’s slowing down any time soon. His play APPROPRIATE, which opened last year at Humana and is now on at Signature Theatre, was well reviewed yesterday by the NYT. In a few weeks, his adaptation of Dion Boucicault’s racially charged OCTOROON opens at Soho Rep, directed by Sarah Benson. This project descends from a previous production that imploded in 2010 just before opening at PS 122 when director Gavin Quinn of Ireland’s famed Pan Pan Theatre bailed out over creative differences. And this November his play WAR premieres at Yale Rep. Previously, his epic NEIGHBORS at the Public Theater, which featured black actors in blackface acting out cliched racial archetypes, caused a bit of a stir. Here’s a profile on Jacobs-Jenkins from last year. 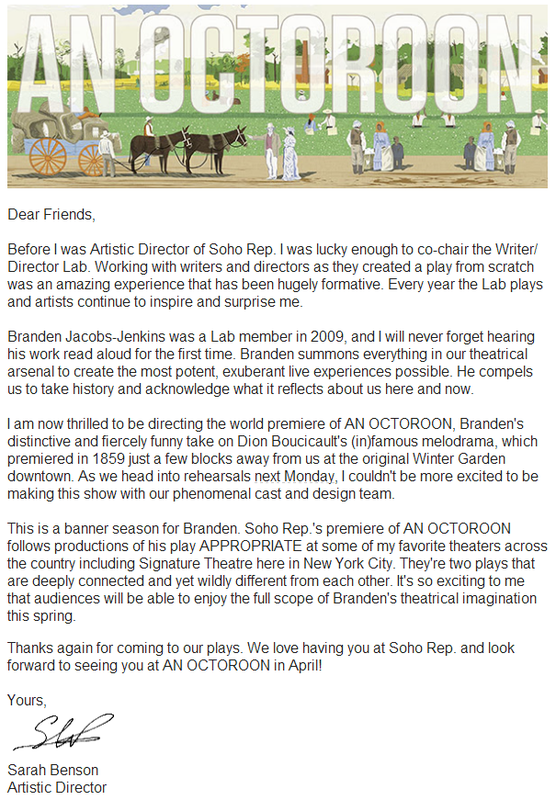 Jacobs-Jenkins’ adaptation of AN OCTOROON at Soho Rep is coming soon.